Following their first two Super Bowl victories, the Steelers still retained a reputation for being fiscally frugal. The team’s preparation for the 1977 season had been disturbed by the holdout of Mel Blount and Jack Ham for higher salaries while other players within the organisation also voiced their unhappiness with their remuneration. Some of the players’ discord was due to them feeling their salaries had not kept pace with the team’s achievements. After years of the same old Steelers, some on the team felt the recent success of the team had failed to benefit the players. The last time the Steelers paid a player the highest salary in the league was in 1938 when they signed Whizzer White to a one-year contract. The new TV contract negotiated by the NFL in 1977 would see each team’s revenue climb from $2 million to $5 million a year producing more income than from ticket sales. The Pittsburgh Post-Gazette intimated that football players were being paid less than baseball, ice hockey or basketball players, but added with 45 players on each roster the total payroll for each team would be the highest in pro sport. The ’77 Steelers still made the playoffs, but with their worst record since 1971. Some players blamed their under performance on the discontent at training camp over money while there was a suggestion the Steelers poor draft of 1974 contributed to a decrease in the squad’s depth. Despite the impression Steelers salaries were not high, they were improving. When Joe Greene was drafted in 1969, he signed a five year contract with a $50,000 signing bonus and a $43,000 salary in his fifth year. It was estimated that his salary in 1977 was above $100,000. In today’s terms, that would be a defensive lineman salary of a piffling $414,000. 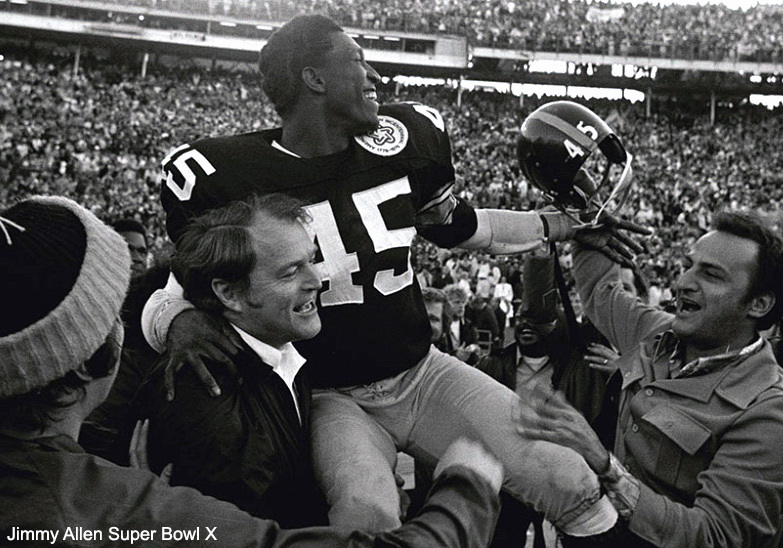 Lynn Swann, who was drafted five years later, signed a three year contract with a $120,000 bonus and a $60,000 salary in the third season. According to the NFL figures in 1975, the top eight franchises for the year had average gross revenue of $7.9 million with a net profit of $800,000. The Steelers were in the middle of the eight teams, but Mr. Rooney suggested they had slipped to break-even point through increased expenses. Because of their small stadium (50,000 seats), the Steelers would only be above Green Bay in ticket revenue if all teams sold out. The Steelers revenue was reduced because they didn’t get to keep any of the concession or parking revue. NFL free agency began on February 1st 1978 when126 players who had played out their options were no longer under contract. The two Steelers free agents were defensive back Jimmy Allen and backup quarterback Neal Graff. Teams that lose players can exercise its right of first refusal to match any offer and retain the player, but if they don’t they would be compensated with draft choices. A team that signed a player for between $75,000 and $125,000 would give up a first-round draft selection and over $200,000 would see a first-round pick in two successive years ceded. As part of the collective bargaining agreement, the NFL collected the salaries of 1,476 players under contract at the end of 1977. Jimmy Allen had been offered a new $50,000 contract with the Steelers, but had been hoping to make more with another team. When. Dan Rooney was asked how defensive backs were at the bottom of the scale, he responded, “I hate to sound like I’m preaching, but unless you have a uniform wage scale, somebody has to be on the bottom. Compared to baseball, pro football players were not in the same league. Half the players made less than the median salary of $45,563 while the average salary of $55,288 was less than half the average for a basketball player. The total payroll for the 28 NFL teams was $81,605,088, an average of $2.9 million per team while only two baseball teams (Phillies and Yankees) had player payrolls of more than $3 million. The above salaries are a combination of the player's base salary plus a prorated share of the signing bonus. Franco Harris $178,250; Joe Greene $150,00, Lynn Swann $137,000 and Jack Ham $105,000. Because of the way the survey was conducted, it wasn’t possible to confirm Terry Bradshaw’s salary, but it was estimated to be in the region of $200,000. The survey suggested the Steelers had one of the league’s higher payrolls contrary to the belief held by some players. Noll’s felt the remedy was to get the team’s concentration back. The coach sensed the Steelers lost their focus with all the holdouts and walkouts that created an atmosphere of turmoil. The coach even speculated the team could recapture the days when they won 20 of 22 games including two Super Bowls. “There’s not that much difference between winning and losing. At the end of February, Steelers defensive coordinator Bud Carson resigned to join George Allen’s Los Angeles Rams as their secondary coach. 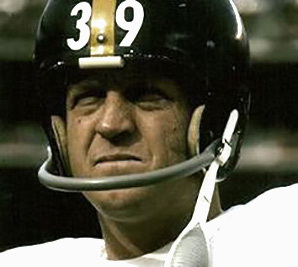 Carson had joined the Steelers in 1972 after coaching Georgia Tech for five years and had overseen the moulding of the Steel Curtain. Defensive line coach George Perles was promoted into the vacancy. Rollie Dotsch became new offensive line coach to replace Dan Radakovich who took the defensive coordinator position with the San Francisco 49ers. Woody Widenhofer was moved to defensive backs and linebacker coach. Ernie Holmes made the headline again. First, he was arrested on charge of drunk driving in Phoenix. Driving at more than 70 miles an hour and weaving in and out of traffic in a 45-mile zone. Holmes was also asked to appear before a special grand jury investigating possible fraud in the Allegheny’s Manpower program. Holmes and L.C. Greenwood were paid to put on football clinics and the grand jury is trying to establish if they know anything about $21,000 that went to “ghost names” on the payroll. Even in 1978, the NFL was concerned about the drop off with scoring in games. Cincinnati, s who favoured the passing game wanted to outlaw the bump and run defense and make it illegal for defensive backs to jostle wide receivers. Commissioner Pete Rozelle suggested a rule change was needed because the defense is doing too good a job. “The size and mobility of the defense has shrunk the field,” he noted while revealing each team had averaged 17.2 points a game in the 1977 season, the lowest figure since 1942. 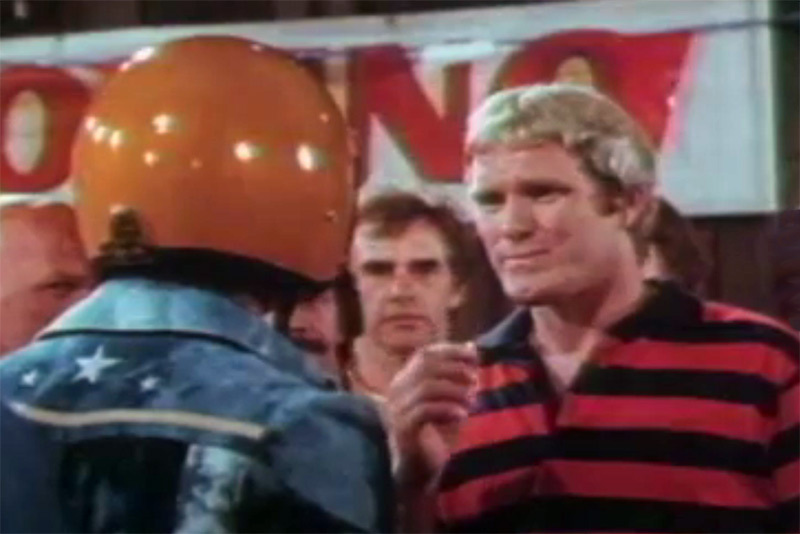 Terry Bradshaw was making his movie debut with Burt Reynolds making a film about Hollywood stuntmen, “Hooper”. He wasn’t getting his hopes up that he was establishing a new vocation away from football. The Steelers upset season ticket holders by forcing fans to purchase tickets for the exhibition games if they wanted to renew their season tickets for the regular season. And to compound the hurt, there was no reduction on for the preseason games. 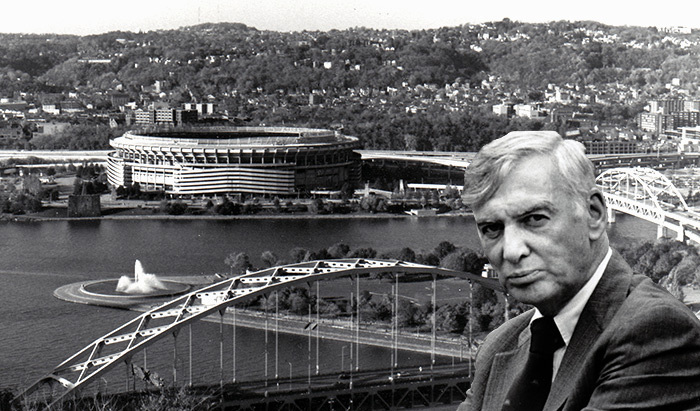 Dan Rooney argued that it was difficult to get teams to come to Pittsburgh for exhibition games because a Three Rivers Stadium sell out produces the second lowest net revenue in the league. The Steelers go to Dallas every preseason, but the Cowboys won’t travel to Pittsburgh. There would be only one home exhibition game in 1978 due to the increase of regular season home games from seven to eight. “This is what we had to do to operate,” Mr. Rooney reasoned. The 49ers traded five future draft picks to the Buffalo Bills to sign O.J. Simpson who holds the NFL record for most yards gained in a season with 2,003. Simpson learnt his trade at the University of Southern California and was pleased to be returning home. “I was a 49er fan when I was a kid and I’ve never stopped being a 49er fan,” Simpson remarked. Although only one of the draft selections given up was in the first round (1979), many sports writers thought for a team in rebuilding mode, relinquishing five selections was a heavy price to pay for a 31-year running back coming off knee surgery. The Steelers released their 1978 preseason prospectus and under kickers, only Roy Gerela and Rich Engels were listed so Glenn Sheeley of the Pittsburgh Press asked Bobby Walden had he retired? “I don’t know yet,” replied Walden. “I’m serious. There’s always a chance. The knee (that was operated on in January) is pretty good, but it’s not 100%. That’s all I got to say. The Steelers made their first significant trade in eight years with Clack and wide receiver Ernie Pough going to New York while guard John Hicks was moving in the opposite direction. 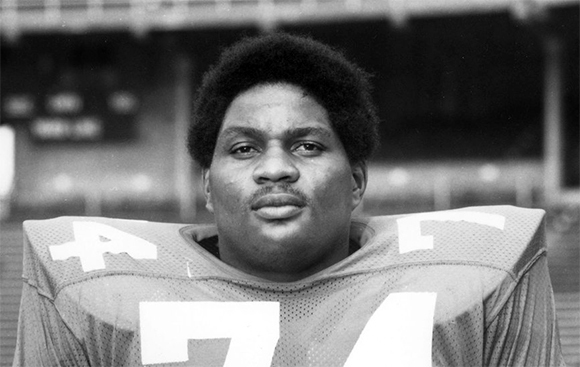 Hicks was the third player selected in the 1974 draft having played in three Rose Bowls with Ohio State. In his first year with the Giants he was the first lineman named UPI Offensive Player of the Year. “I’m in a daze, I’m just in a daze,” admitted Hicks. “I’m sitting here and I can’t believe it is happening. It’s like being drafted all over again.” After four good seasons with the Giants, Hicks began to struggle and eventually he was benched after his seventh holding penalty of the season nullified a 68-yard touchdown pass in a 14-7 loss to the Browns. “I had a bad year,” accepted Hicks, “and I want to prove that was just one year.” The ability of Clack to play center attracted the Giants into making the trade. The Steelers will be hoping they get the Hicks who became the first lineman named UPI Offensive Player of the Year in his first year with the Giants. Originally, the Giants tried to trade Hicks to Cincinnati, but the Bengals backed off. The Pittsburgh Press suggested the Steelers don’t find out why. Vito Stellino in the PPG advanced the theory that the trade marked the second phase of Chuck Noll’s career as a Steelers coach. Coach Noll had proved he could take a team going nowhere and build it to the top using the draft, now he has to keep the team in contention while he turns it over at the same time. Drafting twentieth or later each year sees the Joe Greenes, the Terry Bradshaws and the Franco Harrises gone when the Steelers are on the board, so Coach Noll needs to modify his philosophy of building through the draft.